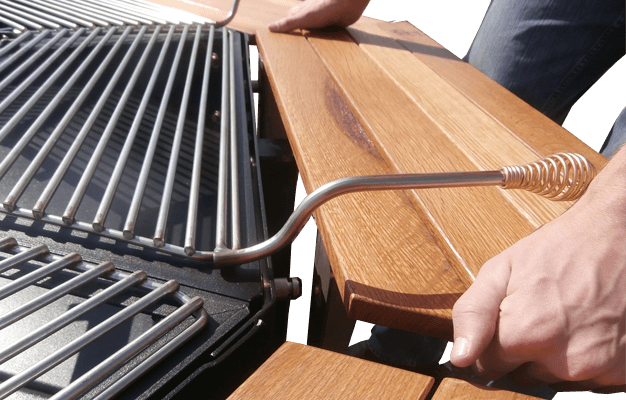 The JAG grill takes BBQing to a whole new level. This is the ultimate family BBQ. Everyone can cook their favorites without having to compete for space. This is a brilliant concept that everyone will love! 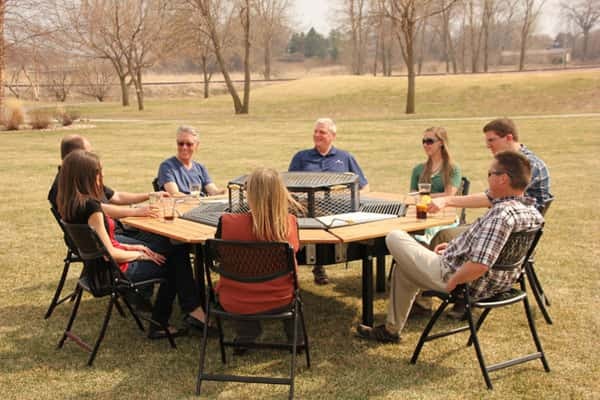 The Jag Grill is designed to provide an outdoor dining experience like no other. A brand new design concept that is not yet available in stores. Pre orders are being accepted via the Jag Grill website. An amazing idea for any outdoor gathering. 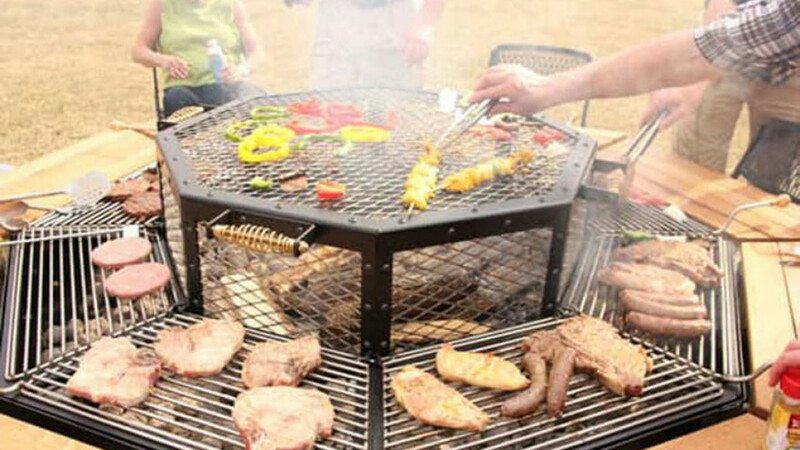 The innovative design incorporates three main factors, a grill, a fire pit and a table for each person. It seats up to eight people so no one will miss out! The legs are adjustable and it folds for easy storage. The fire pit in the centre is covered by a dome. 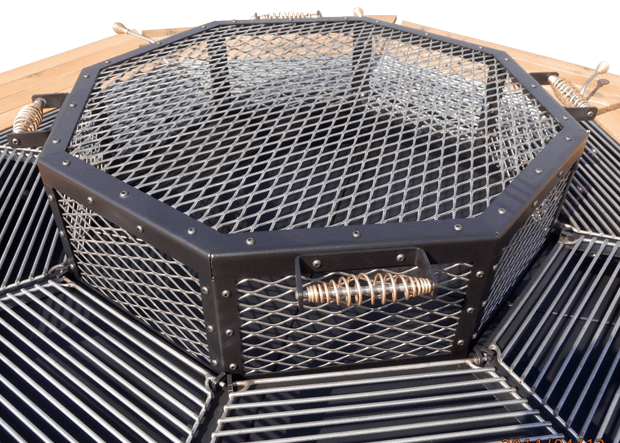 The dome can be removed easily so that the fire can be tended. ^The wooden table surfaces can be removed for storage or to accomodate anyone who would prefer to stand while cooking. The patent is pending. I have a feeling that this is going to be a very popular item!